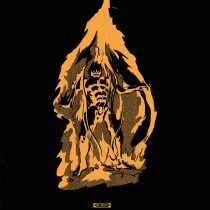 The early sparks of the Dead Heavens’ sound began on a Schreifels solo, with Thomas and Aguilar as the backing band. They were obsessing over Cream’s first album Fresh Cream and MBV, My Bloody Valentine’s both miasmic yet blissful follow up to Loveless. 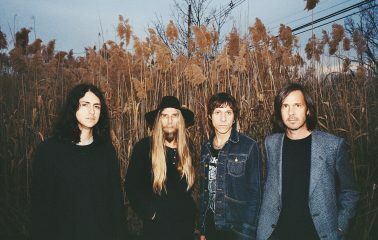 Aguilar also introduced them to the psych beauty of White Fence on that tour, which resonated with Schreifels, who was in the mood for heavier music, guitar solos, and a big rock feeling after a recent Quicksand tour. Upon returning to NYC, Aguilar reacquainted Thomas and Schreifels with musician, painter, engineer and dude who came up with the title Use Your Illusion, Paul Kostabi, who had previously played in White Zombie and Psychotica. They began recording at Kostabi’s home studio in Piermont, New York with his massive collection of ‘70s recording reels from The James Gang, Sabbath, and Hendrix, spinning in between takes. Eventually Kostabi joined Dead Heavens, which had morphed mid-recording from a project into an actual band, changing the sound dramatically. Heavier and dual guitar leads, more sonic possibilities. 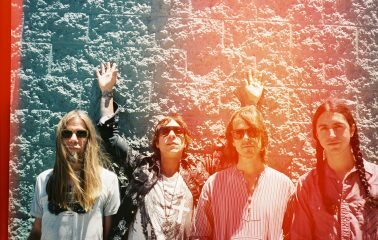 Whether they’re connecting the sounds of the psychedelic ‘70s or channeling the now, Dead Heavens are sound tracking their exploration and as drummer Drew Thomas mentions, “What the world needs now is for more people to take psychedelic drugs.” Dead Heavens is launched into the world to succeed where the hippies failed. 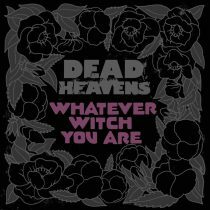 Since their inception, Dead Heavens has released three 7” singles through various labels and has toured the country numerous times.